Harvard Yard at Harvard University. A recent dispute over Israeli Apartheid Week at Harvard University reveals that the university administration attempted to require a Palestinian rights student group to have security at its event, and then charge the group for the costs. The university backed down after a letter from the group’s lawyer. According to The Harvard Crimson, the Harvard Palestine Solidarity Committee scheduled a series of events about Israeli-Palestinian relations throughout this week. Controversy over this topic led the administration to require a police presence for the group’s Black-Palestinian Solidarity event this past Tuesday, for which the group would have to pay $300. If there is a disruption that I feel violates someone’s free speech, I will warn the individual and hope the conversation continues. . . . If the disruption continues I will ask the person to leave. With this, we will be required to have an HUPD [Harvard University Police Department] presence on sight. This will be billed to the organization. This did not sit well with Palestine Legal, a law firm co-sponsoring the event, which objected to the implicit threat to shut down the event if the security fee was not paid. The administration backed down, agreeing to fund the security it imposed upon the group. The dispute — and Harvard’s initial reaction — illustrates the dangers of security fee censorship, especially for controversial events. 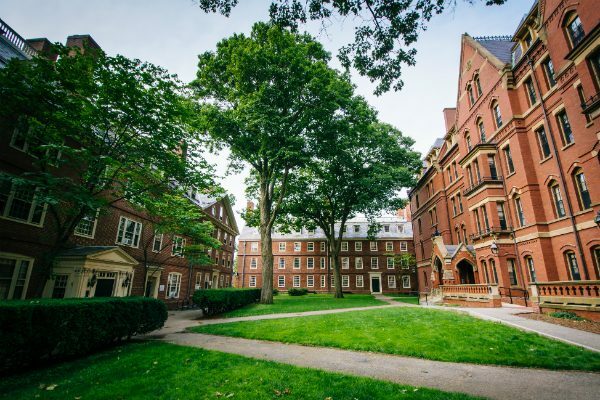 Although Havard’s desire to uphold student safety is laudable, that interest must be balanced against the university’s obligations to protect student expression. This requires the administration to refrain from imposing content-based security fees, or pay for its own police force. This is unfortunately not the first time a university has attempted to price students out of their free speech rights. Student groups seeking to host speakers such as Ward Churchill, Bill Ayers, David Horowitz, and Boots Riley, or events discussing Second Amendment rights and abortion, were charged security fees over the expected reactions from audiences. When universities force student groups to pay security for their events, it codifies the heckler’s veto, giving hecklers the power to silence any speech they dislike by causing as much damage and disruption as possible. If universities such as Harvard believe in fostering student engagement, they should not incentivize censorship by shifting security costs onto the student group. FIRE commends Harvard for ultimately coming to the right conclusion here. We call upon Harvard to make clear that, in the future, it will not attempt to use security fees to censor student expression.